A customer in the EMEA region was looking to develop a new type of mayonnaise that was suitable for consumers following a vegan diet and lifestyle. 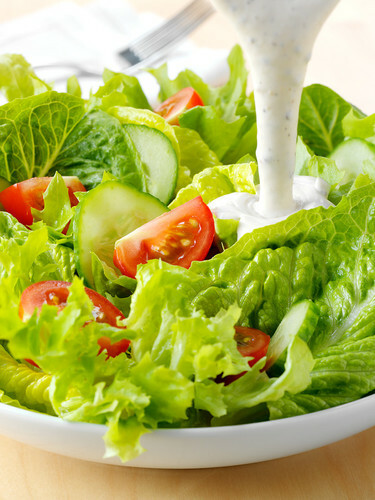 Consumers are constantly on the lookout for salad creams and dressings that offer low-fat alternatives, which are also suitable for those with allergies or restricted diets, but without losing out on creaminess and mouthfeel. Our HAMULSION® Stabiliser System offered the perfect solution. This stabiliser system is a finely adjusted combination of vegetable proteins, vegetable fibre and native starch. Using this system, the customer was able to replace the functionality of a traditional emulsifier such as egg yolk, found in traditional mayonnaise recipes, while keeping the texture and appearance that consumers know and love. Consumers are constantly on the lookout for salad creams and dressings that offer low-fat alternatives, which are also suitable for those with allergies or restricted diets, but without losing out on creaminess and mouthfeel. Our team of Application Scientists worked in our labs to help formulate a recipe which delivered a creamy, silky product. While working with the customer we formulated three types of mayonnaise: Vegan Original, Vegan Mayonnaise with Capers and Vegan Mayonnaise with Seaweed – ideal for the more adventurous. While only on the market for three weeks, numerous supermarket chains within the region have expressed interest in stocking the new range. Thanks to our HAMULSION®, more consumers can now enjoy the taste of vegan mayonnaise with their sandwiches, salads and steaks. Get in touch if you need help with your food stabiliser challenges.